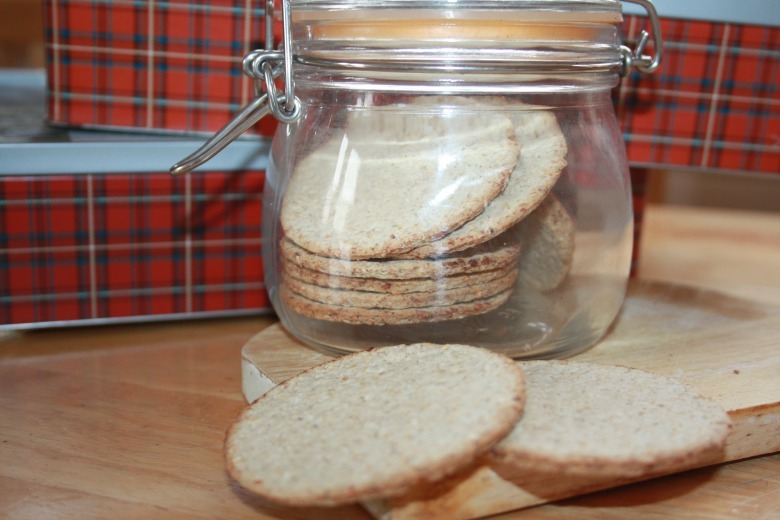 These traditional Scottish oat crackers (biscuits) serve with cheese cutting, delicious with cream cheese and smoked fish, or just with butter, or instead of bread to soup. Grind oat flakes in a coffee grinder or food processor (up to you how you want to finely grind it, this will depends on the structure and crackers), measure resulting 250 g flour, add herbs to your taste, salt, pepper, powder to the cookie or baking soda. ( right baking soda, instead of the usual dining soda, do not know what it is, but it's a bit of different from usual soda also prevents flavor in baked goods).Pour oil (or melted butter) and hot water and knead sticky dough (all this can be done in a food processor). 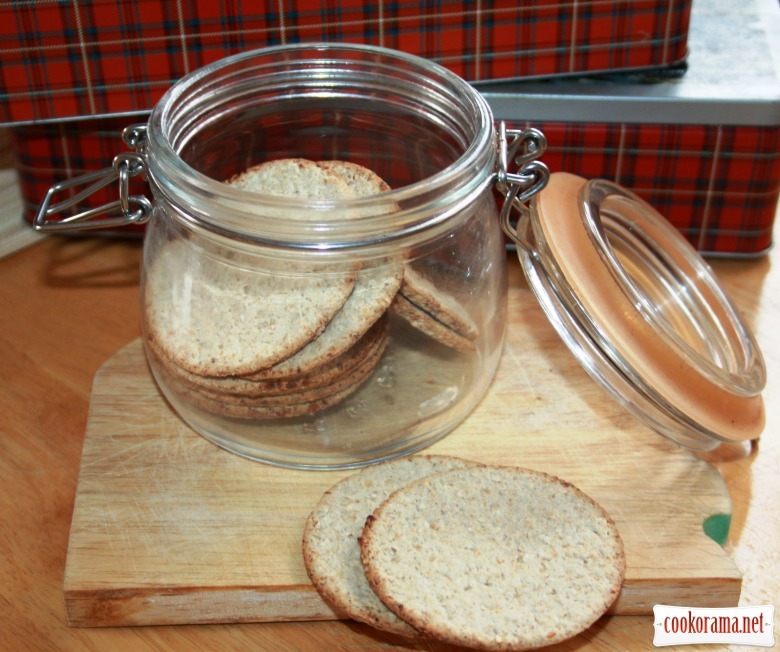 Top of recipe "Oatmeal cookies (crackers) with aromatic herbs"
Soft, curd-oatmeal cookies with citrus notes "Galaxy"